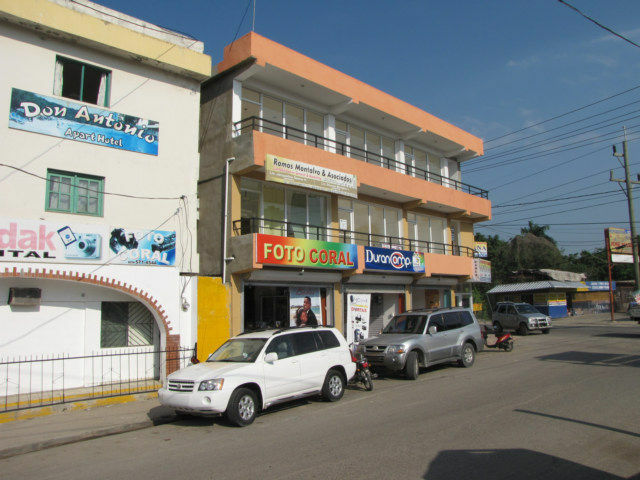 Commercial Real Estate in Sosua, Dominican Republic looks bleak as of February 2010. 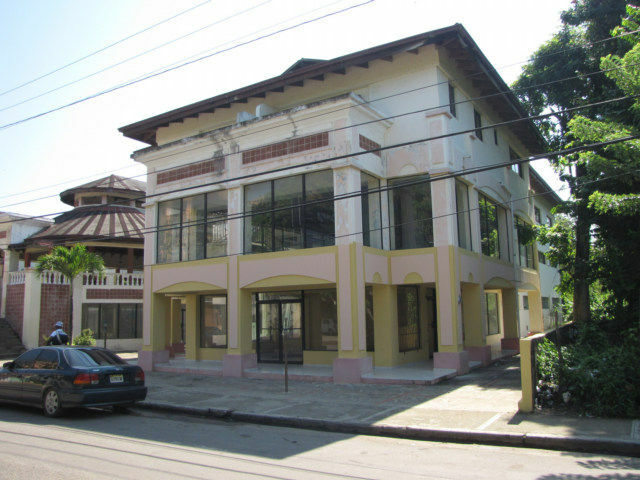 Here are three photos of building all within three block of the core business center of Sosua. Vacant, or mostly... Number 1 on Sosua Map. 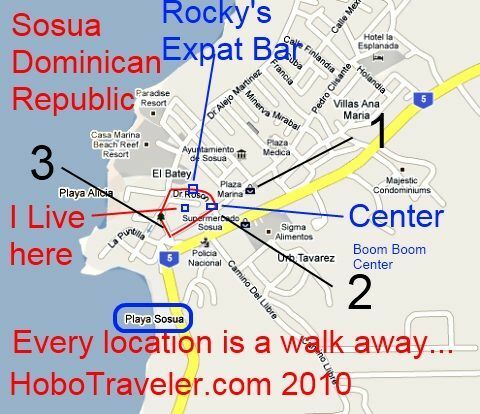 Map of the Core Business Areas of Sosua, Dominican Republic, residential bleeds away from this these areas by Condo, Apartments and Houses. This core area provides the restaurants, super markets, hardware and other stores needed for general living. Number 3 on the Map, a couple of shops have tenants. There appears to be an overbuild situation here in Sosua, the luster has been lost, the thrill is gone, the wanna follow crowd is moving down the road to the next trendy place. The peak value of tourist trap Real Estate is difficult to know, but there is a time when everything touched turns to gold, that is not today in Sosua. There is a cycle of purchase and sales of Real Estate to Expatriates initially purchased because they got laid, and eventually they feel like they were screwed. 1. Excitement of the place. 2. Purchase Home, Land, etc. 3. Own for 2-7 years. 4. Acceptance they paid too much. 5. Try to sell in normal methods. --- Tourist who are intoxicated in Sosua, who just got laid. --- People on the Internet, too stupid to realize value of Real Estate compared to the USA is not good logic. 7. On the Market for 1-5 years. 8. Sell the property and leave town, never admitting to their friend the price. Generally, in my experience, very few people who come from highly developed countries live more than about seven years; they get the seven-year itch; know they must return to sanity and move home. They live the rest of their live wishing they could have somehow seized that great feeling they had when they first purchased Real Estate overseas. 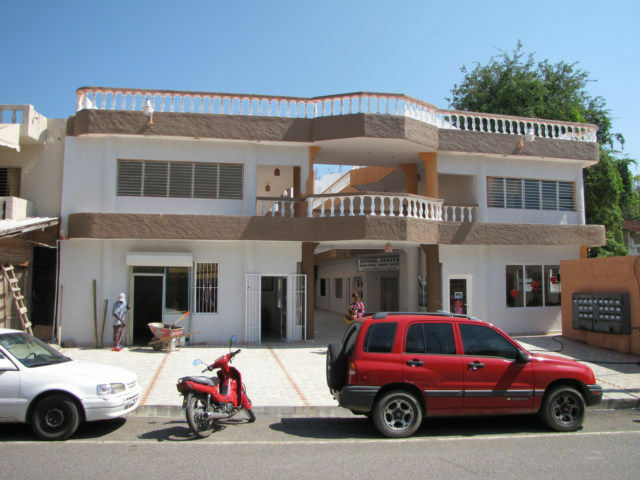 It is often possible to rent a 500,000 home in tourist area for 700-1000 dollars per month. If you can do the math, you realize the cost of renting is the better deal. Then when you are bored with the local action, you can move onto the next trendy tourist area that is emerging somewhere on the planet and do it again. Sadly, I have realized in my 12 years of travel, every time I return to my favorite Expat location, half my friend are gone, often none of my former friends are around, it is not the same place I left. Real Estates owns the person, the person does not own the Real Estates, there are roots put down that are hard to sell. Internet sites for Expats are always full of Real Estate deals being offered by other Expats or foreigners; everyone is always trying to find the next chump, the down stream chump method of Real Estate sales. Expatriated men in foreign countries want to buy women, and buy homes, in reality, it is always a leasehold right to ownership, and not a freehold.